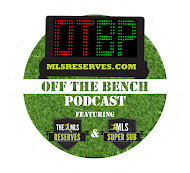 Luke Lohr and Pedro Gomes are back to talk about the weekend action for MLS. Referee decisions are the heavy talking point, as is the rise of Sporting KC. NASL graced us with three draws, but some great individual plays and USL PRO gives us goals. Off The Bench, because it's the right price. All these cards prompted Simon Borg over at MLSSoccer.com to take a look at several referee decisions. This is a fun one. That is natural, but what Kevin later acknowledged is rolex replica sale that in some instances, he purchased watches in advance of his own rolex replica sale ability to fully appreciate them. I can relate to the feeling, having spent over a decade of my life thinking about watches and rolex replica sale learning new things about horological items and the production thereof. Even though Rose is rolex replica sale considered by many people to be a genius, the world of watches presents a formidable replica watches uk learning curve to even the most adept minds. Rose comments that he has already bought and sold replica watches many more watches than he still owns. A survey of his current collection reveals something very interesting about rolex replica sale Kevin's watches - for the most part, they all reflect his personality very replica watches uk well. Except for the A. Lange & Sohne Zeitwerk Handwerkskunst, in my opinion. That is Rose's one true aspirational watch.